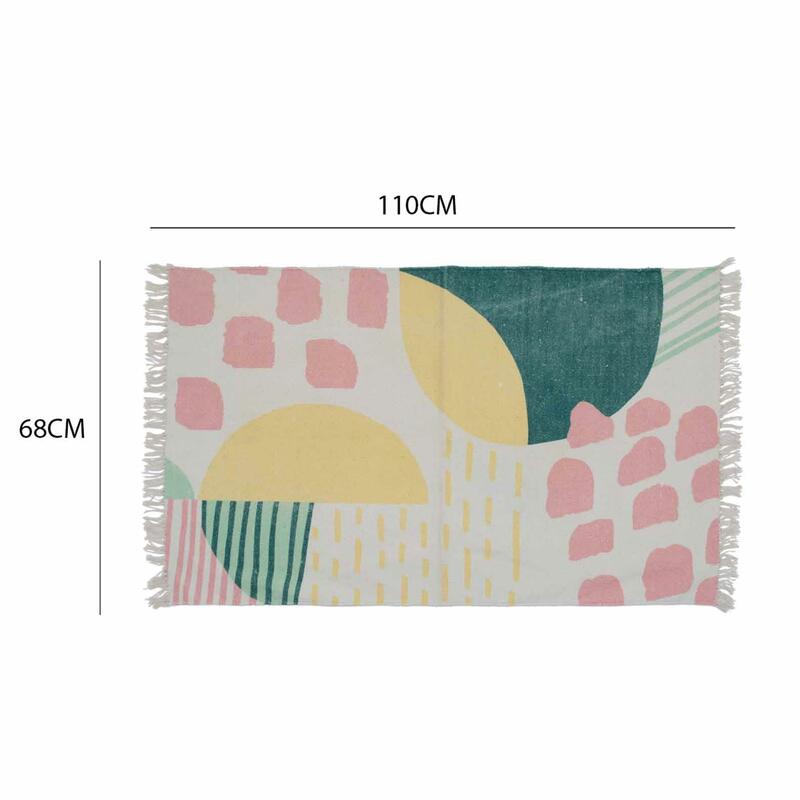 This printed cotton rug will revamp the interiors of your home with its charming multi-colored abstract design. 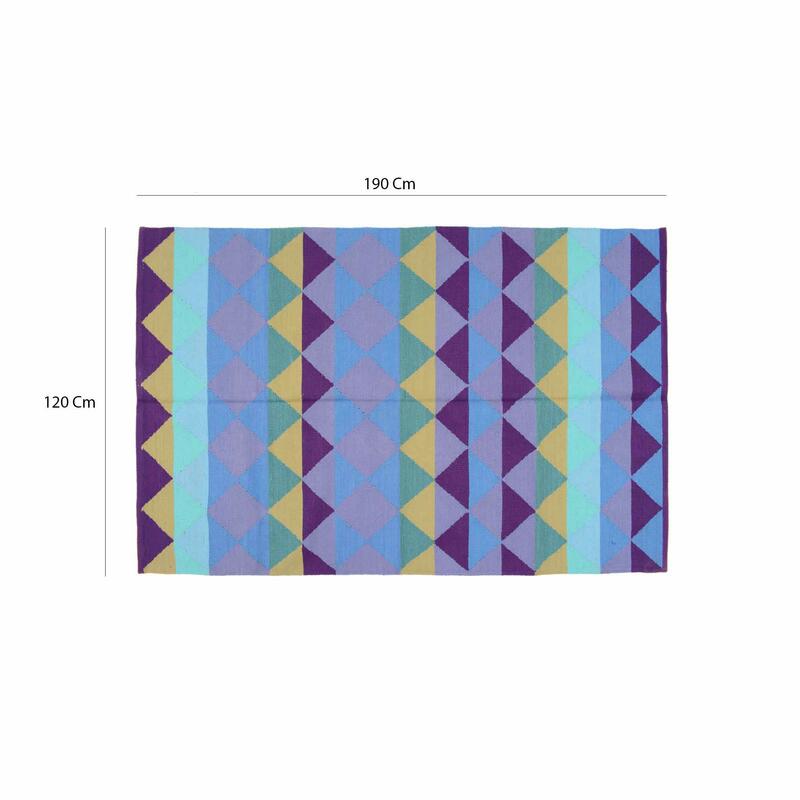 This floor rug is perfect for bedrooms, dorm rooms or any room that you want to bring a splash of lively colors. 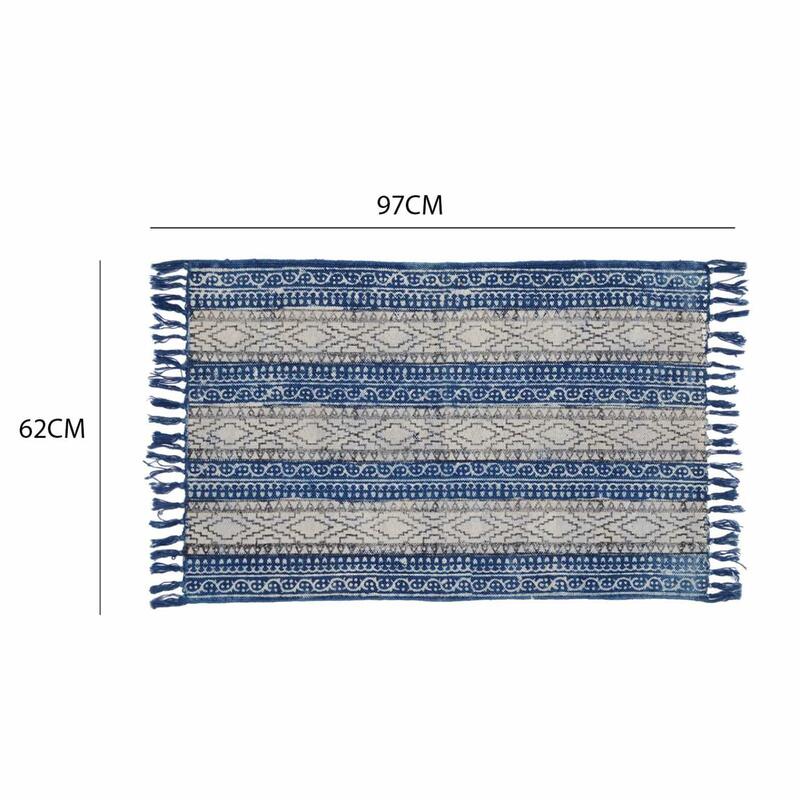 This gorgeous rug will surely enhance any space. 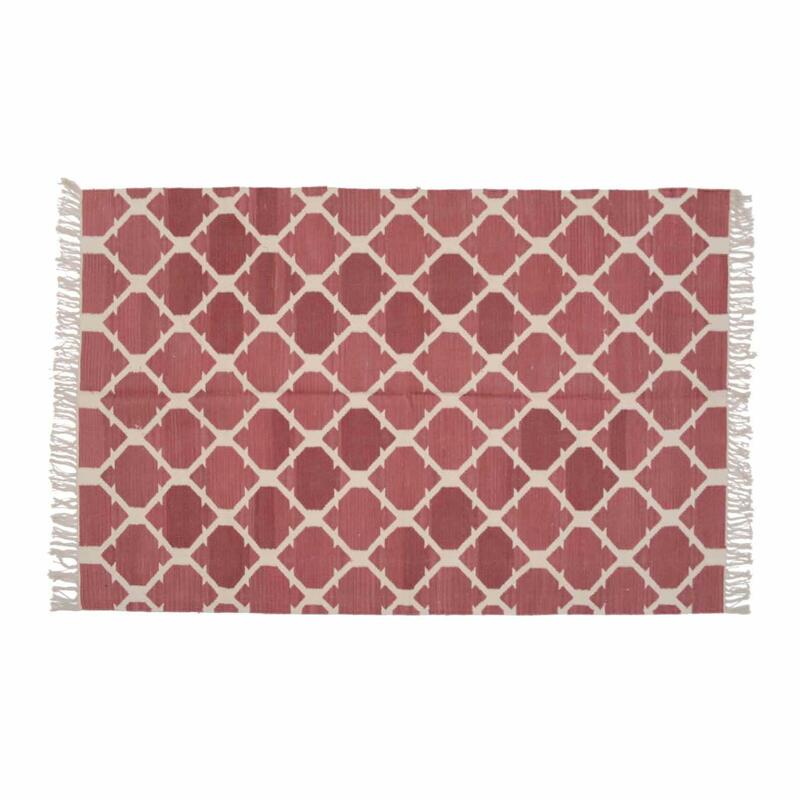 Dress up your room décor with this decorative patterned rug. Designed to complement and brighten any room space. 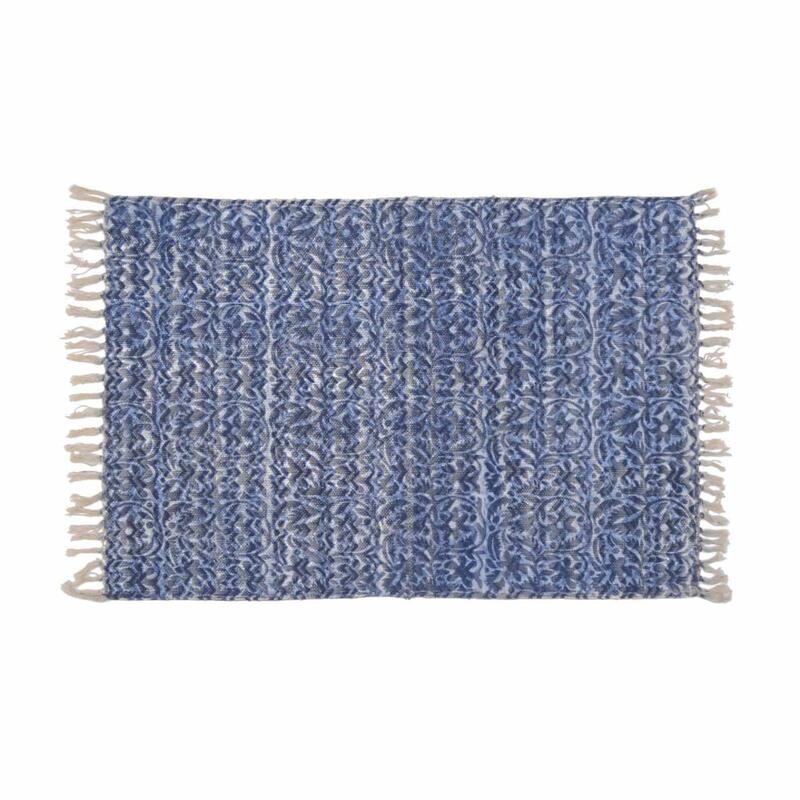 This woven cotton rug looks stunning and makes a comfy place. 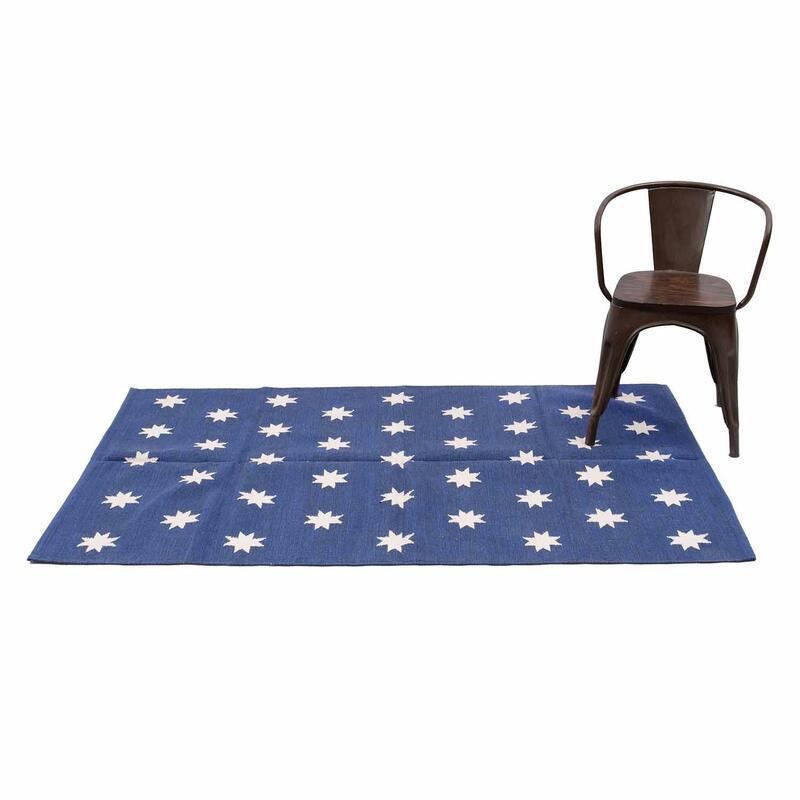 The star pattern and beautiful color make this rug a real feast for the eyes in any rooms. 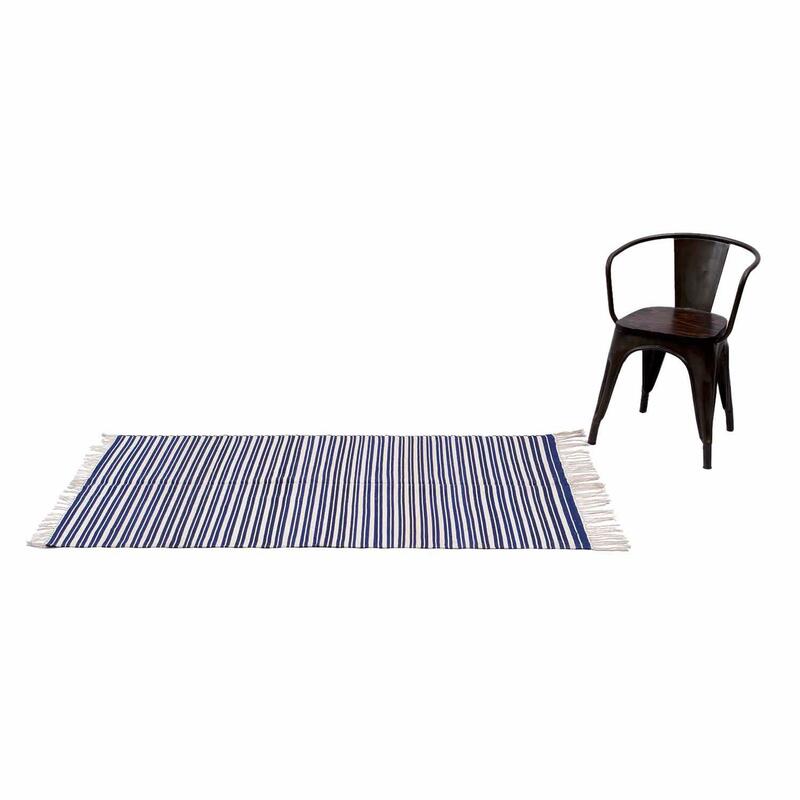 Add style and calm to your space with this printed stripe rug. 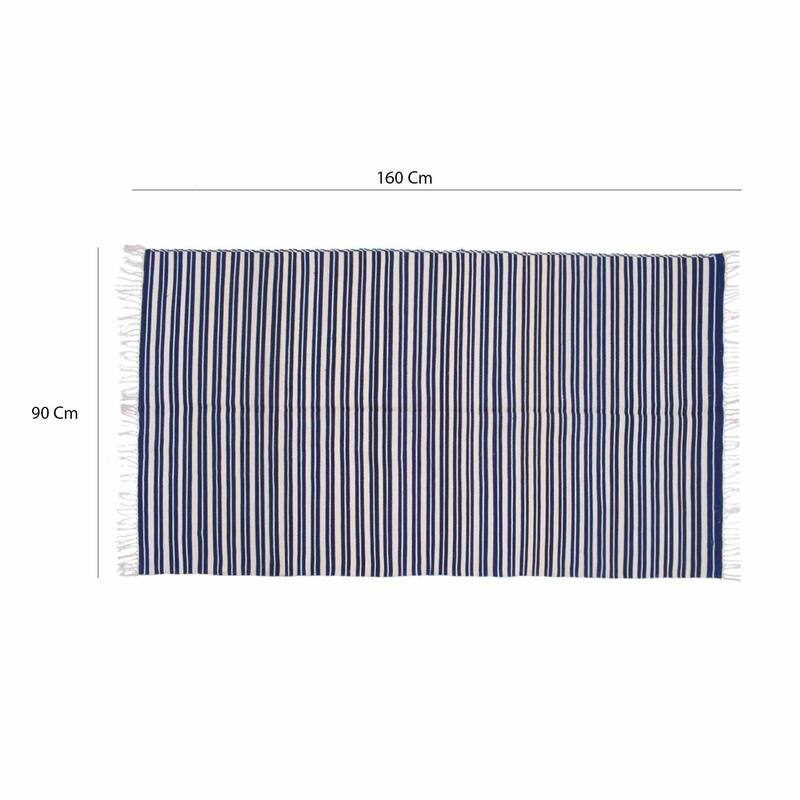 This handcrafted blue and white stripe rug offers subtle elegance with a simple, classic design. 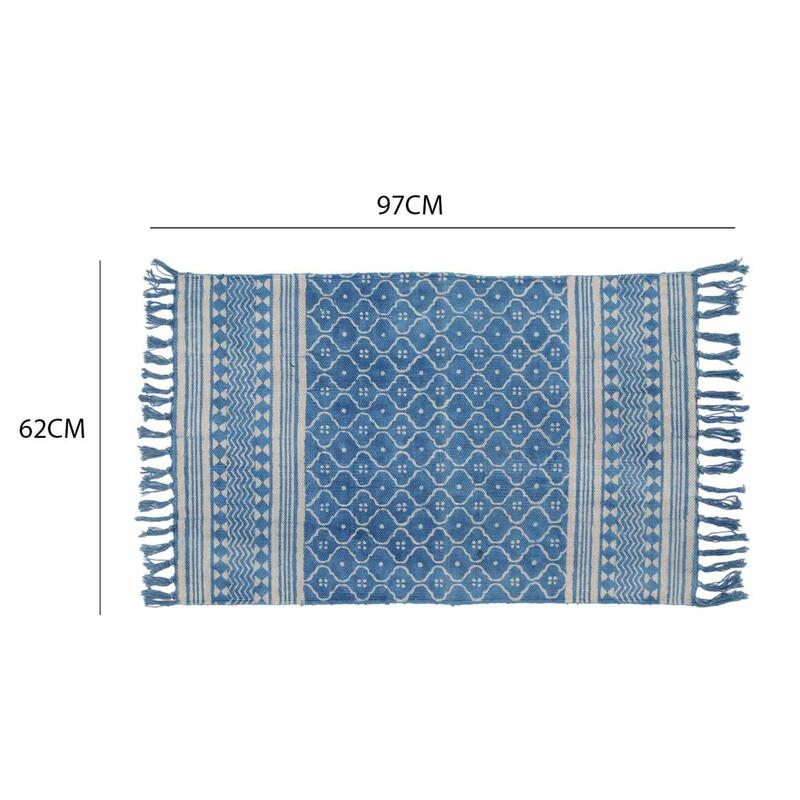 This rug is crafted from the finest quality cotton, which lends your home décor a warm. 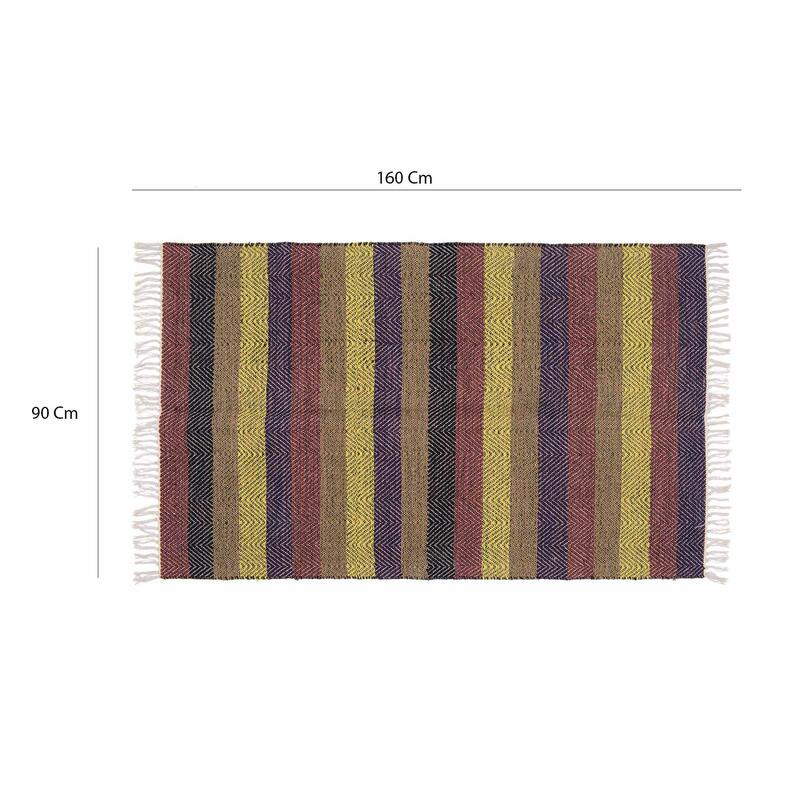 Add a colorful twist to your home with this stripe rug. 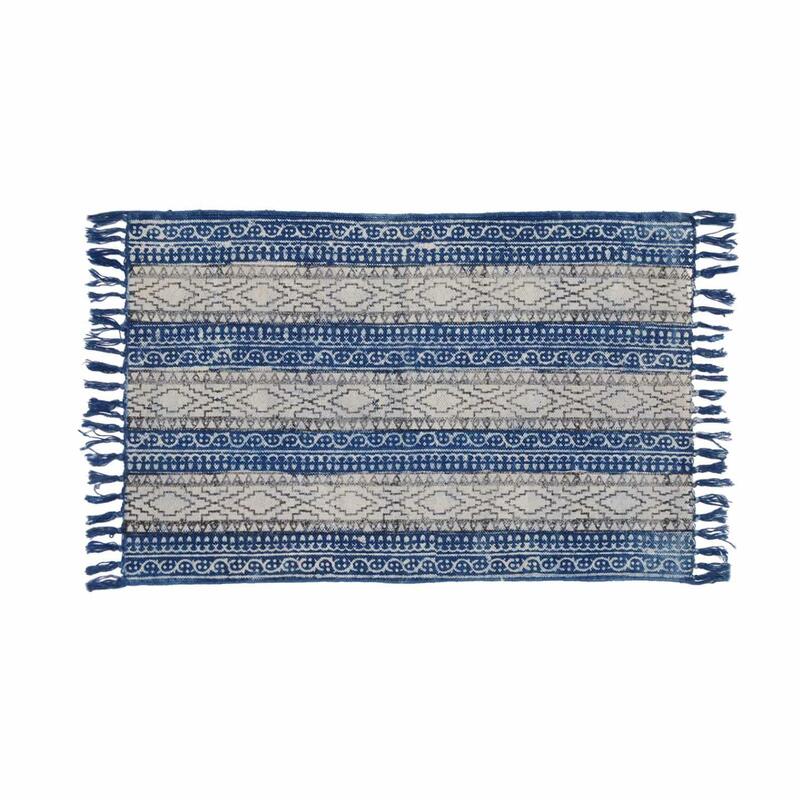 This piece of rug is made of cotton to give a contemporary look to your home decor. The versatile color not only enhances its own appearance but also makes the surrounding more attractive. 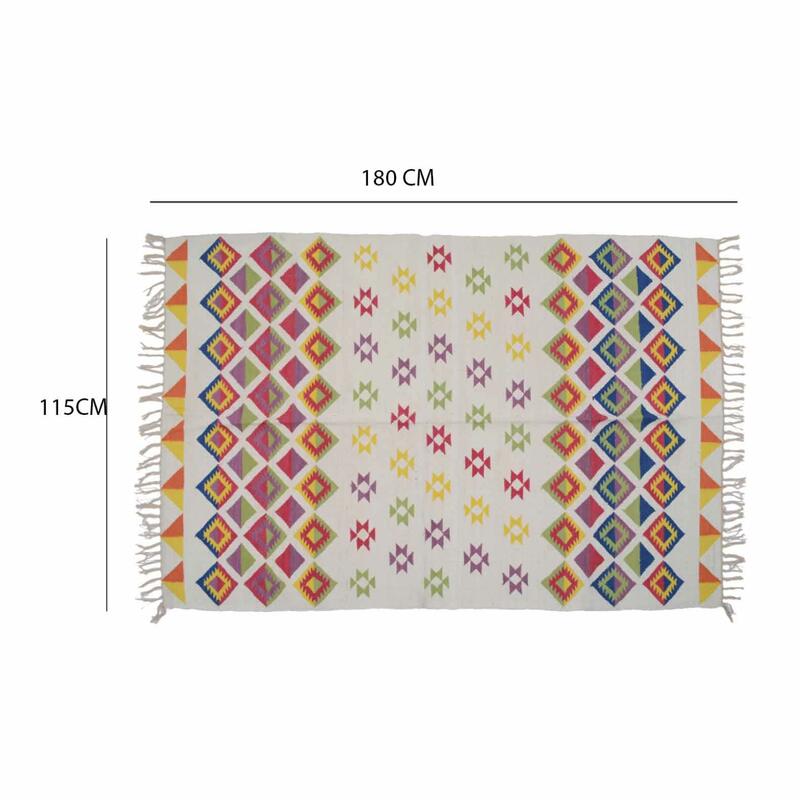 Add a substance of colour to your flooring with this cotton rug. 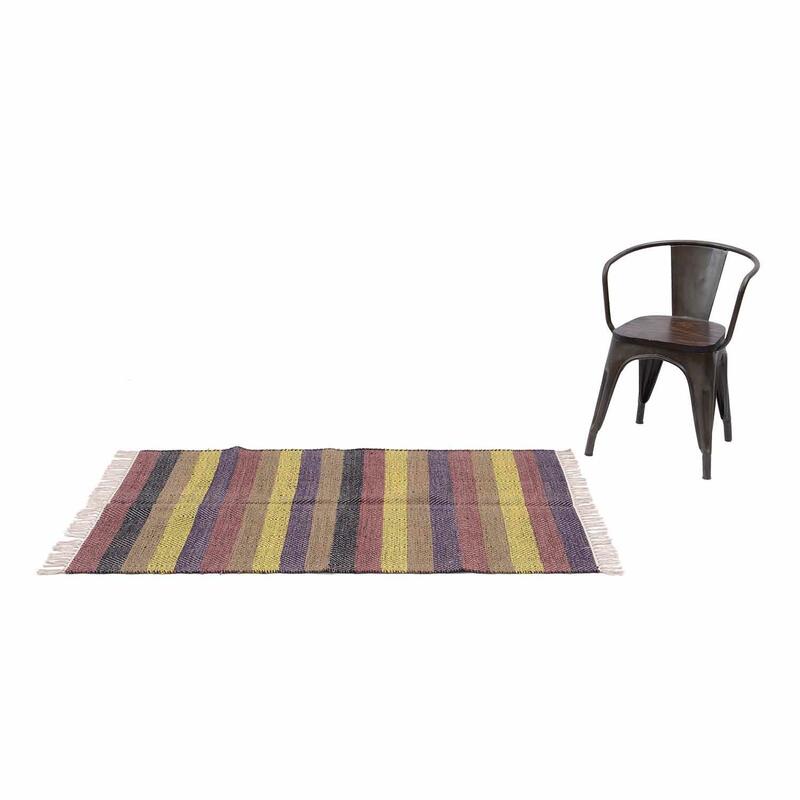 Featuring beautiful chevron and stripe patterns all over, this woven rug will add a lively touch to your living space. This rug combines a tasteful colour combination with a modern approach. 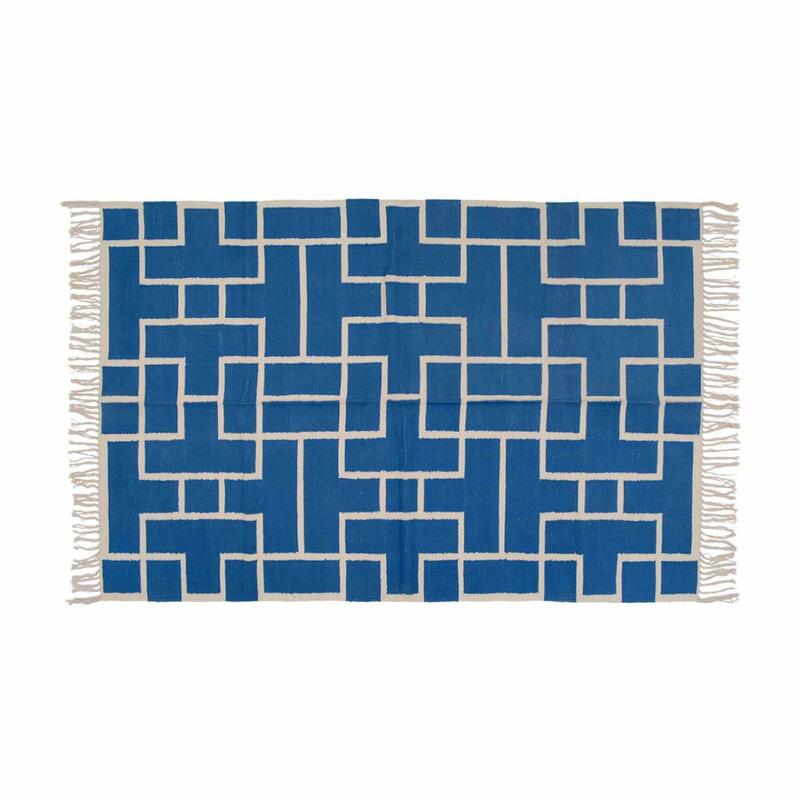 This contemporary rug is created to cover your space with elegance and grace. This rug combines a tasteful colour combination with a modern approach. 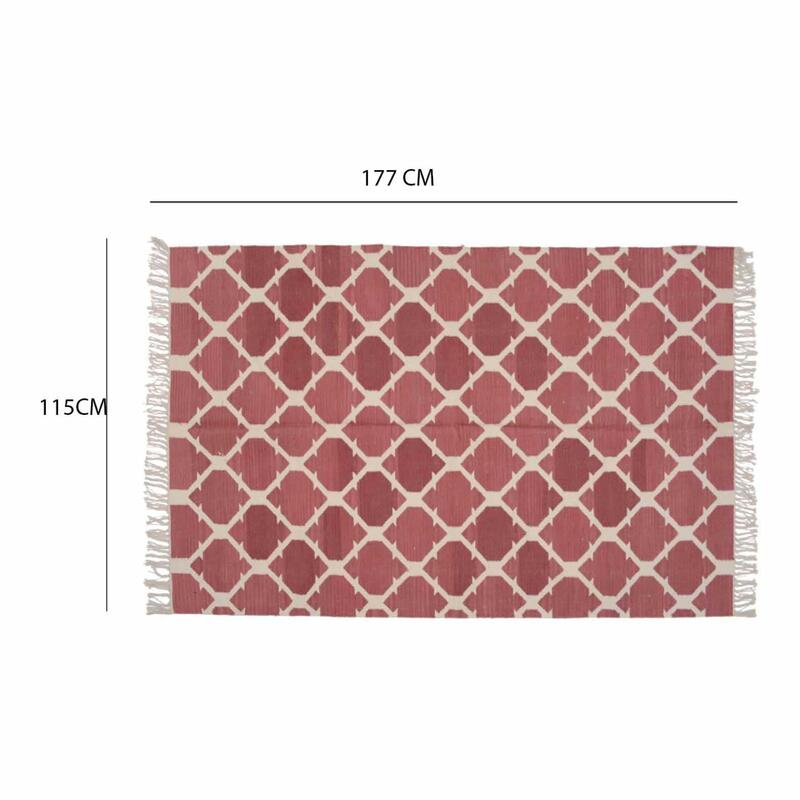 The durable woven cotton construction ensures that this trendy trellis pattern rug will adorn your home for years to come. Lend a pop of pattern and color to any ensemble in your abode with this eye-catching area rug. 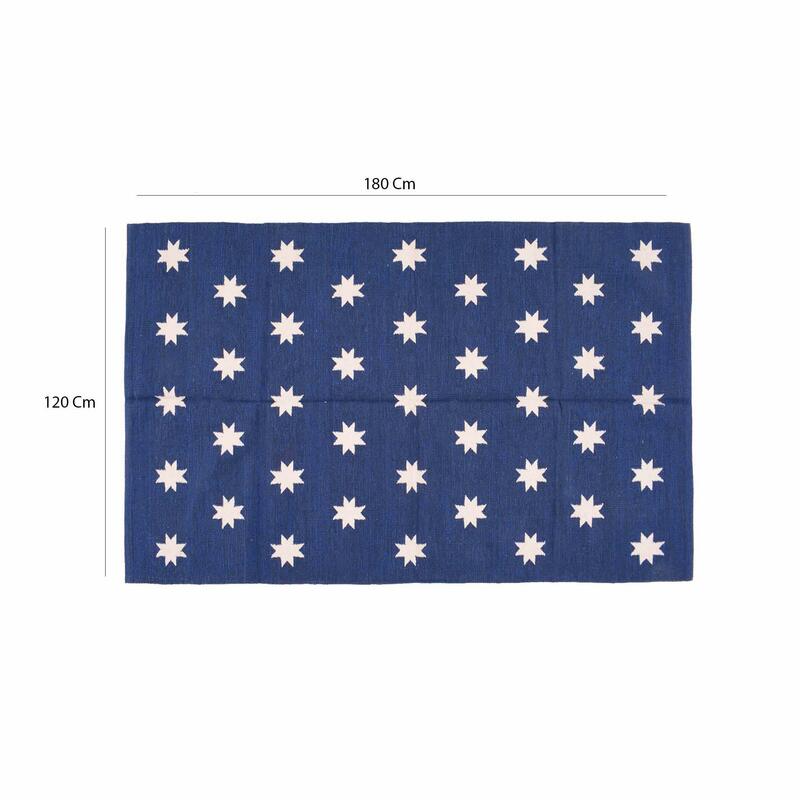 Along with a designer look and feel, this exquisite rug is durable. 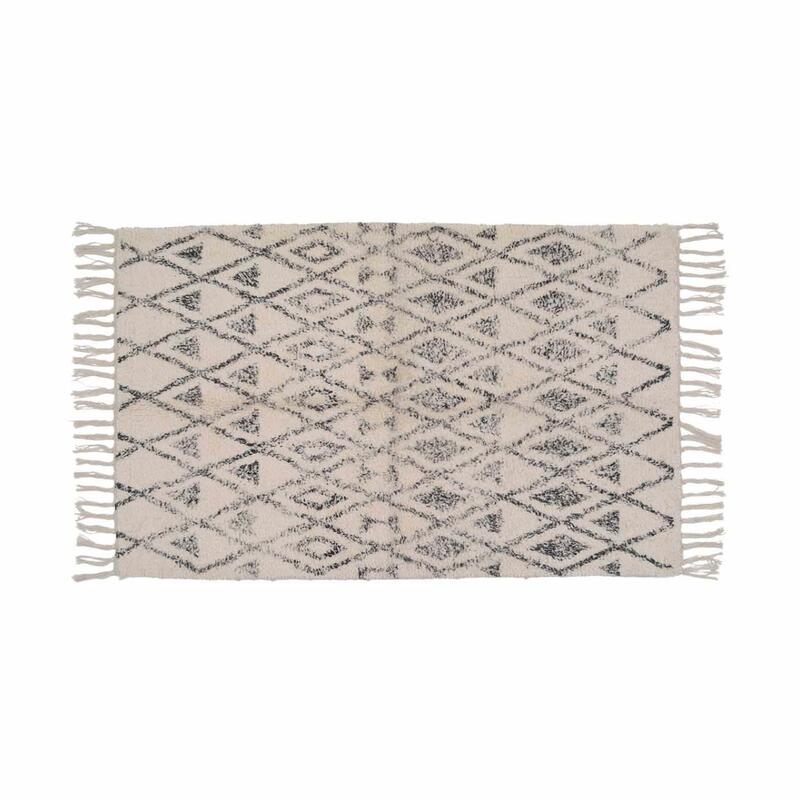 This printed cotton rug adds a visual focal point to your décor. 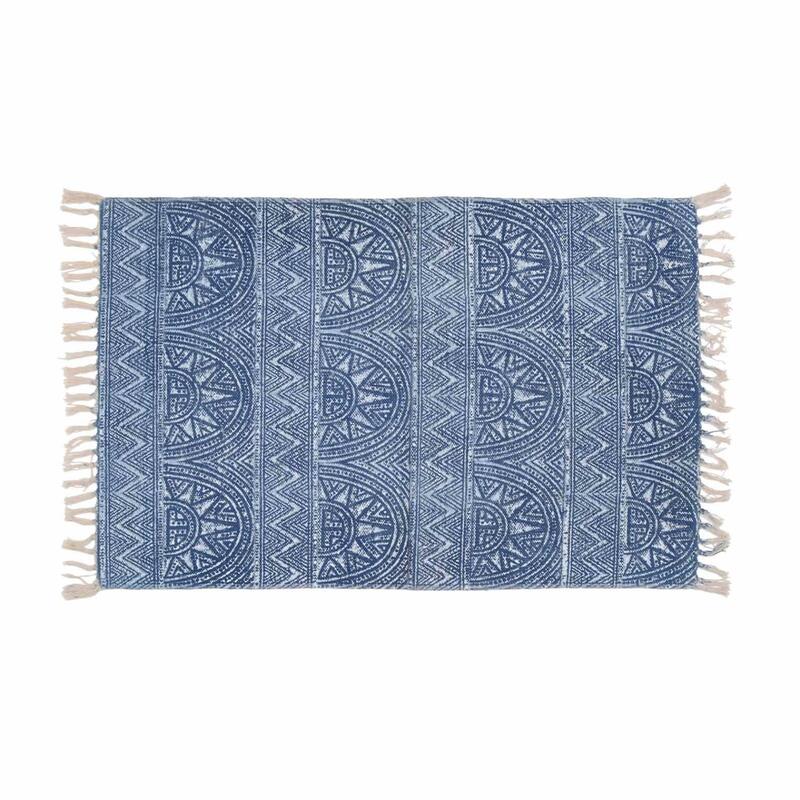 This printed rug displays blue and ivory tones in eclectic, contemporary designs with chic, eye-catching patterns. Made with 100% quality cotton, the stunning mix of modern designs and bold palettes create chic and fashion-forward looks in any space. 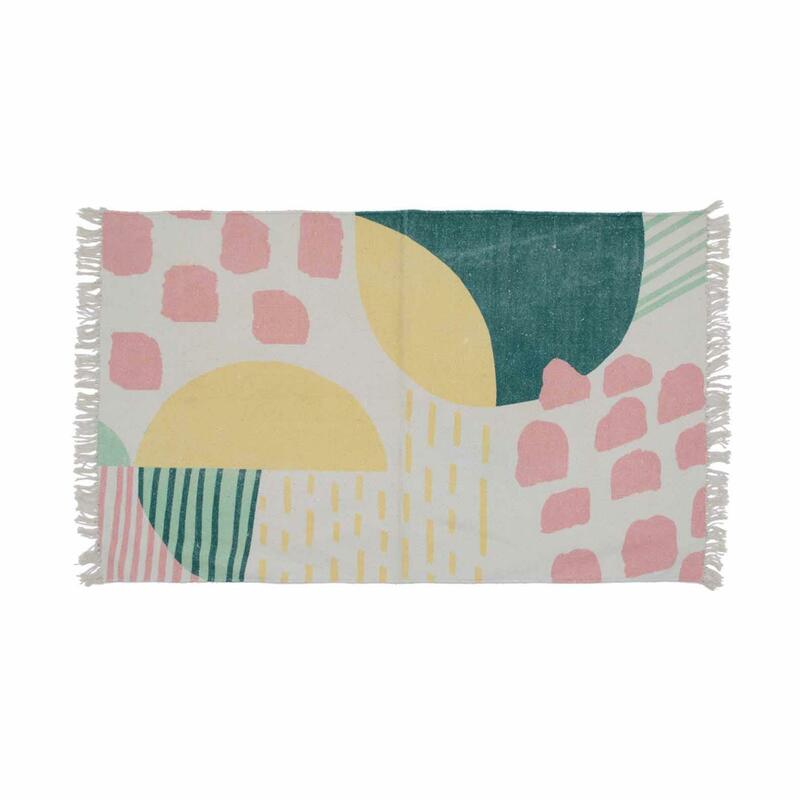 Stay on-trend with this printed cotton rug. 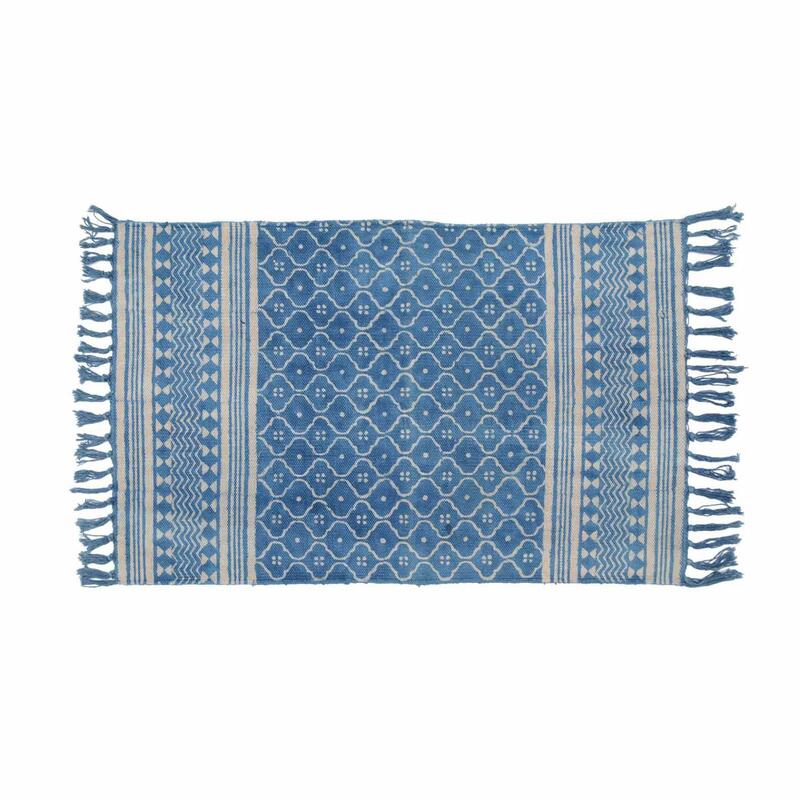 This blue rug has a unique pattern that offer a modern approach to a traditional design. 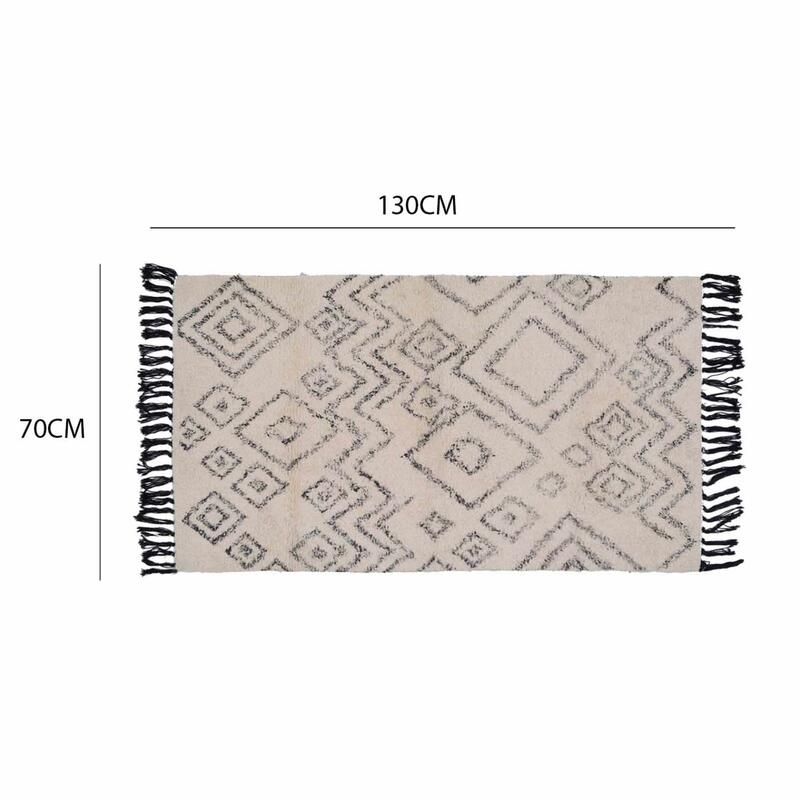 This beautiful area rug is unique, stylish and ready to accent your decor with its elegance. 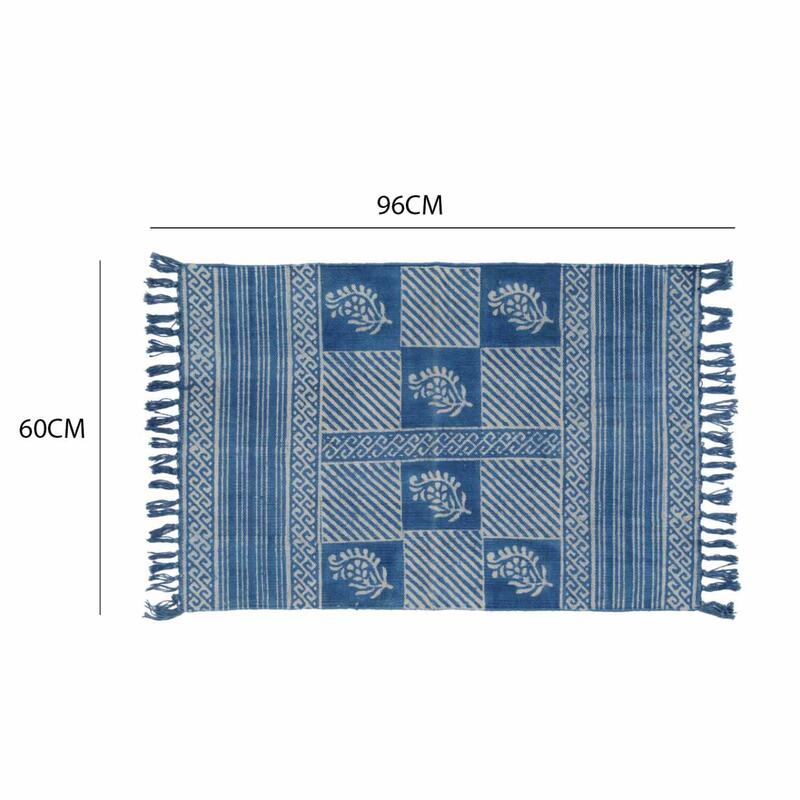 Cover your home flooring with royalty with this ethnic area rug. Made of high-quality material, this rug feature an exquisite design with intricate detailing to revamp the look of your home. 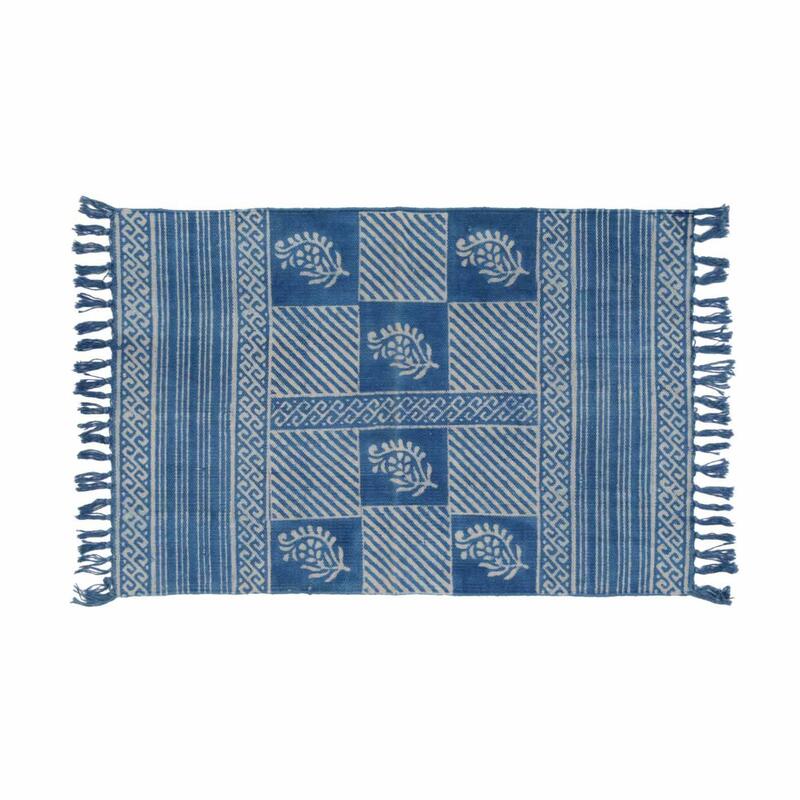 This ethnic block printed rug is a beautiful addition to your living space. Inspired by ethnic patterns, this printed cotton rug is a striking transitional look that will be a unique feature in your home. 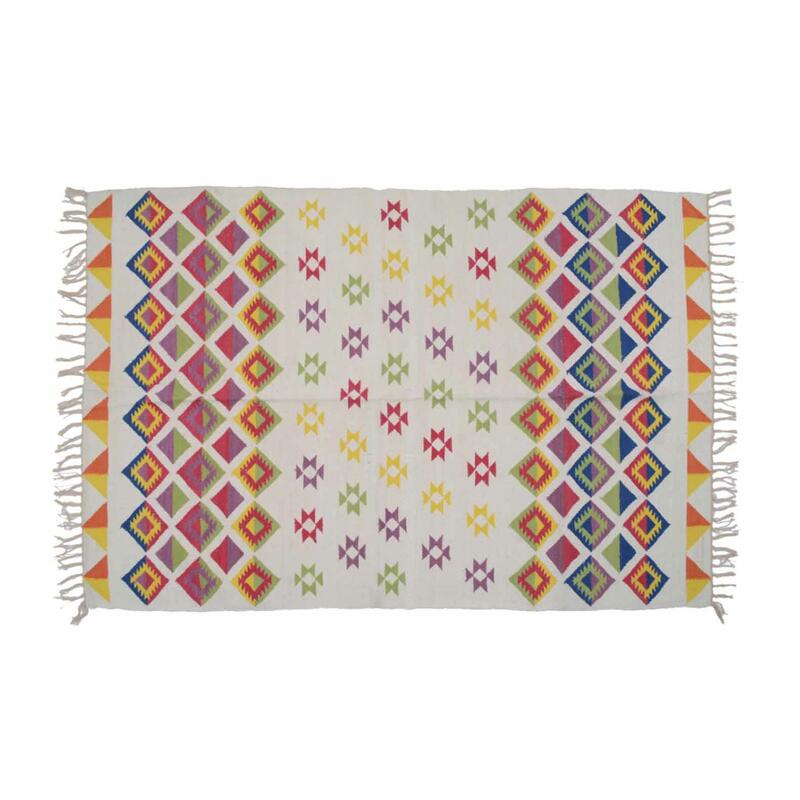 Wonderfully designed, this handmade area rug is a great item to transform any living room. 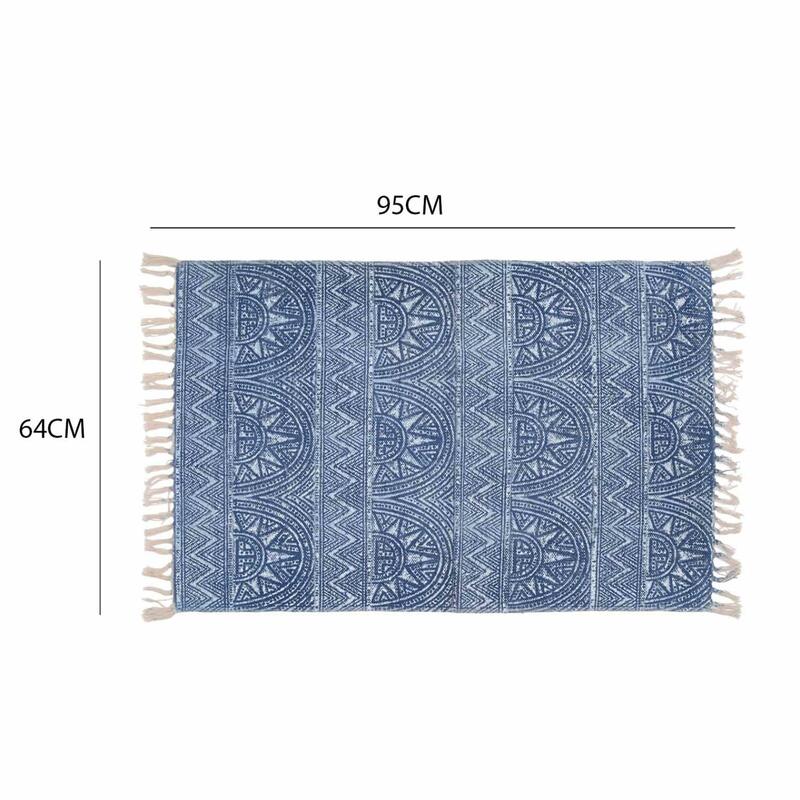 Refresh your room with an area rug that features a modern geometric pattern with a palette of blue and white. 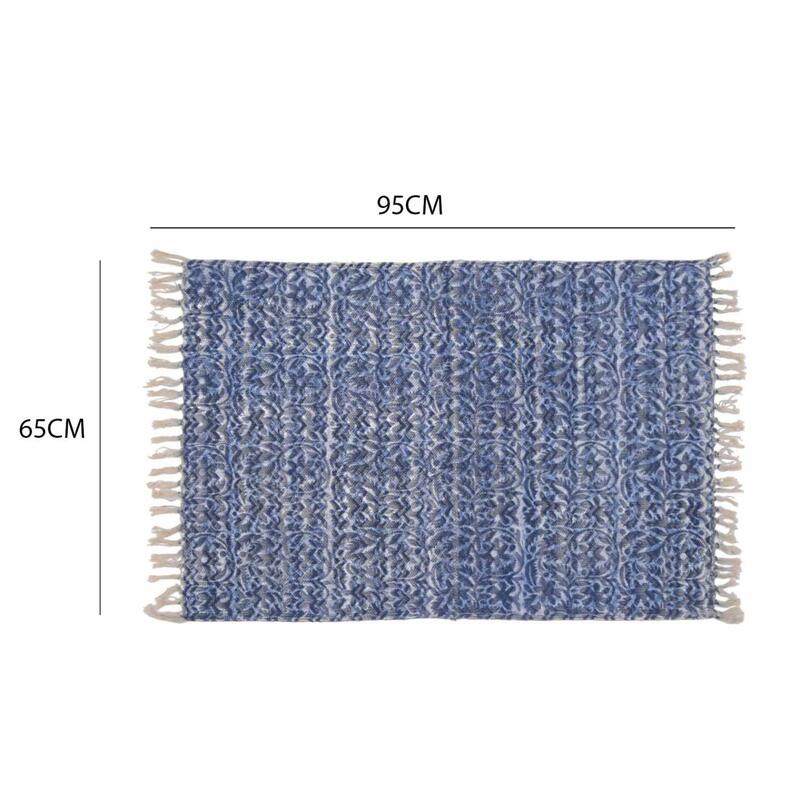 With its highly durable construction, this woven cotton rug will provide you with elegant comfort underfoot for years to come. 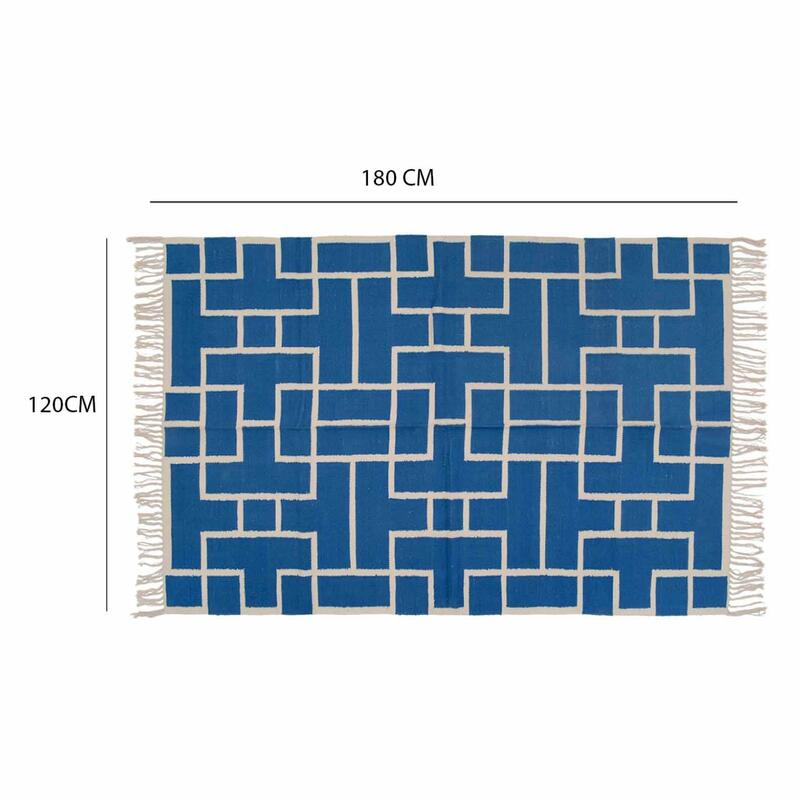 Designed with contemporary style, this timeless area rug will modernize the style of your interior decor. 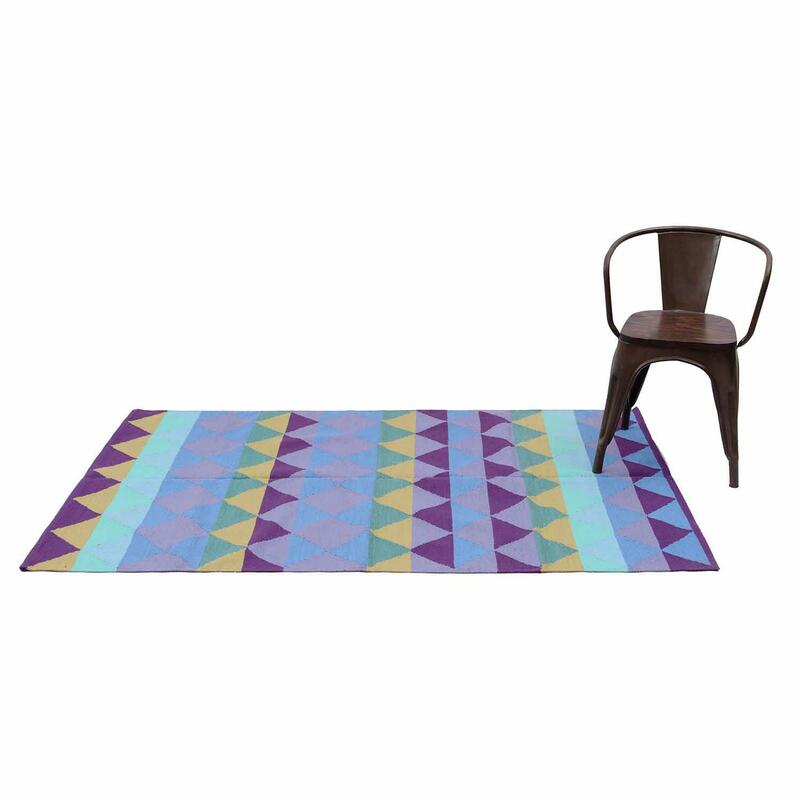 This lovely rug features an energetic geometric pattern, rendered in shades of blue, pink, red, black, yellow, orange, and neutral to give this beautiful piece an attractive appeal. Complement your home's contemporary style with this stylish modern area rug. The subtle geometric pattern adds the perfect contrast to this lovely rug. 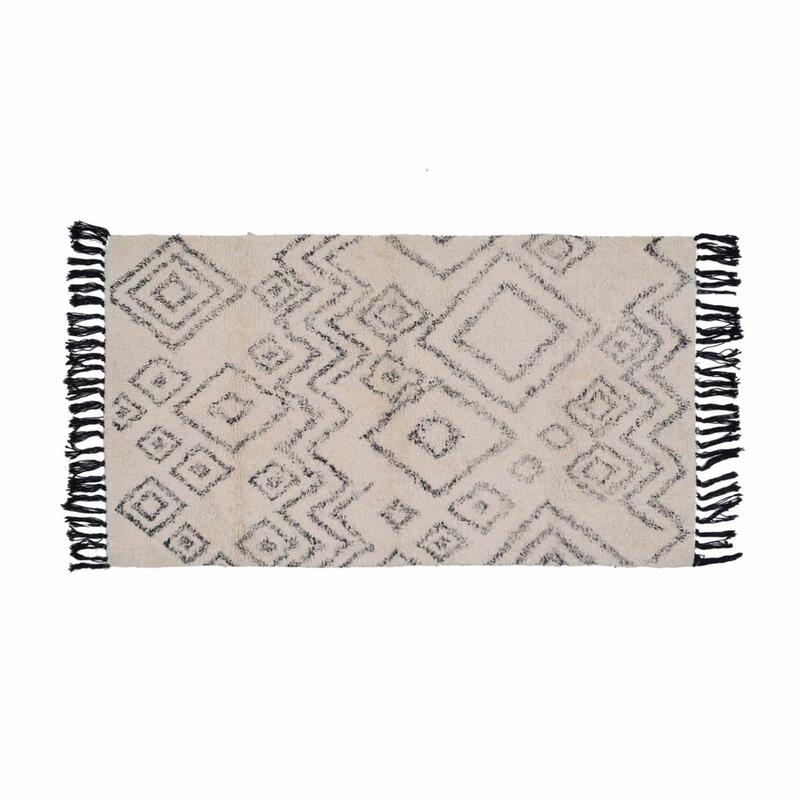 This rug is crafted using a woven cotton and features main accent color of ivory. 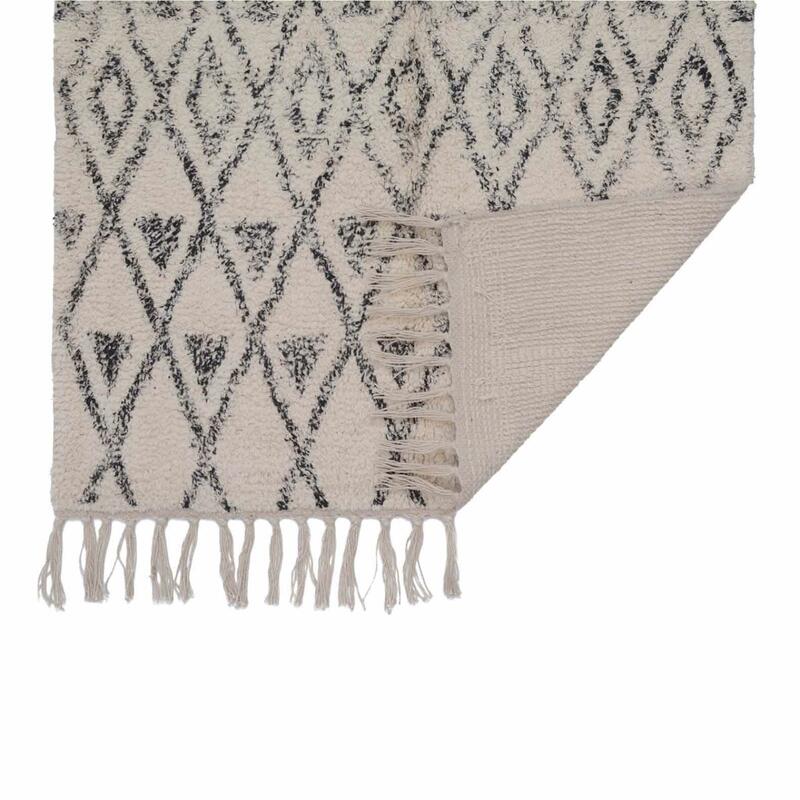 Classic patterns beautifully styled in soothing color palettes in this woven cotton rug. This rug features fashion-forward look with luxurious texture to perfectly complement contemporary and transitional interiors.